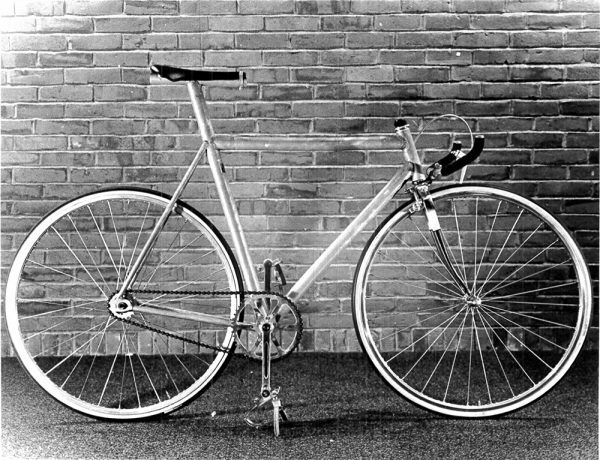 New post: the MIT aluminum bicycle project, 1974, where modern aluminum bicycle frames got their start as student Marc Rosenbaum’s thesis project. 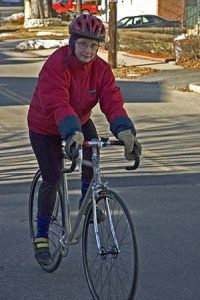 sheldonbrown.com site owner Harriet Fell built one of the original MIT aluminum bicycle frames, it came to be an exhibit in a Klein vs. Cannondale lawsuit — and she still rides it! 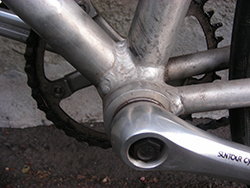 This entry was posted in New pages, Updates and tagged aluminum, bicycle, bottom bracket, frame, Harriet Fell, Marc Rosenbaum, Massachusetts Institute of Technology, MIT, Shawn Buckley, shelbroco, Sheldon, Sheldon Brown, sheldonbrown, sheldonbrown.com, track bicycle, video. Bookmark the permalink.